Atom & the Dot is a Malaysian brand started by Sheena Moh and Teo Jin Hui with the aim of creating a fun, educational science-related product incorporating elements of art and design – in a box! Their subscription boxes spark curiosity and encourage teach kids to think creatively. We spoke to the founders to find out more about these fun boxes. Why Atom & the Dot? The name was inspired by our belief that Science and Art go better together. The Atom symbolises the building block for science while the Dot is the building block for art. Typically, Malaysians view them as distinct subjects and tend to place more importance on the sciences. In the Nordic countries and the US, educators are starting to recognise and put more emphasis on the importance of art integration to develop well-rounded learners and leaders. This is especially relevant today given the advancement of technology and rapid innovation. The ability to leverage both left and right brain is important. What inspired you to start a subscription box service in Malaysia? We want kids today to realise that we are surrounded by science and art – from where we live and work to even the phones we use. We want to make learning fun for kids with engaging, relevant, highly experiential content; and to make them realise that art and science are very connected. Starting up an educational toy company is usually very capital intensive. Being a self-funded operation, we decided to get creative. The subscription box model makes it less capital intensive to scale geographically with less time-to-market. Subscription boxes are popular in the US and Japan, so we thought why not introduce it here. How do these boxes encourage kids to learn? When science and learning are fun, it captures their attention, promotes better retention and makes them curious. Curiosity is, after all, the mother of discovery. Kids naturally learn through play, which stimulates their brain, teaches them how to observe and develops fine and gross motor skills. The art and design provide a visual appeal that is engaging for the kids, and the detailed illustrations also allow them to navigate the activities easily even if they are too young to read. We also use comics and storytelling to make the concepts easier to understand. How do you curate each box and theme? And what has been the most popular subject so far? We want to spark an interest in science and art, and help busy parents keep their kids occupied so they don't need to rely solely on devices. Once we have selected a topic and the activities, we choose what goes into the box and strive to provide a good mix. Some activities require minimal adult involvement, while others will be more challenging and need some adult help. The activities must illustrate the concepts in a way that the kids can easily visualise and grasp. They should be able to connect these activities to what they learn at school and may even have an “Aha!” moment in class! Our bestsellers are boxes with activities about chemical reactions and circuits. Other favourites include making ice cream in a bag, DIY bath bombs, volcanoes, making a robot tester with paper circuits and a static butterfly garden. What are your views on kids and screen time and would your activities encourage them to spend less time on devices? We believe any parent will admit that the iPad is a good learning tool, but moderation is key. Being on a device takes time away from activities like social interaction, playing, sports and using their imagination. 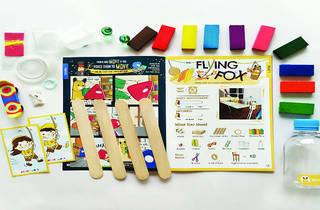 Our activity boxes facilitate hands-on play at home and are ideal for family bonding. Parents are always looking for activities to keep their kids occupied, and while they could do their own research and sourcing, it’s just too time consuming. That’s where we come in! 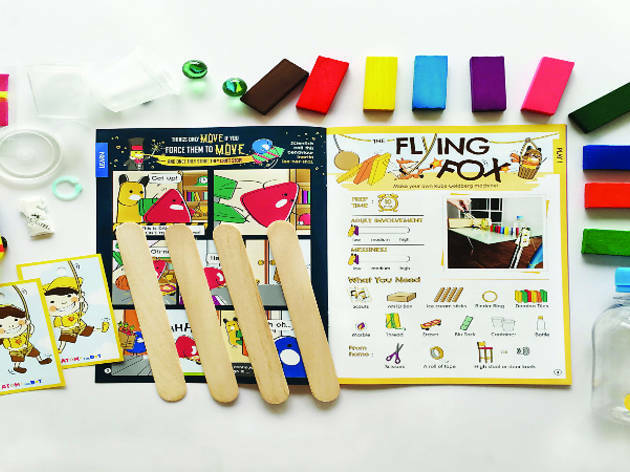 The activities change every month and the materials are pre-packed for convenience. We even provide enough materials to try the experiments twice in case it fails the first time. Find out more about Atom & The Dot on their website.